Need a quick and easy temporary fence? Until now, temporary fencing required awkward posts that often broke or were difficult to hammer into the ground. 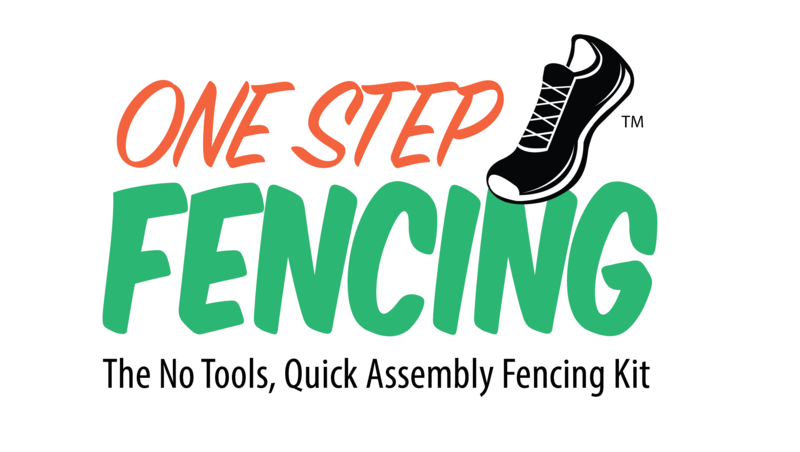 One Step Fencing™ has taken care of that problem – and more! 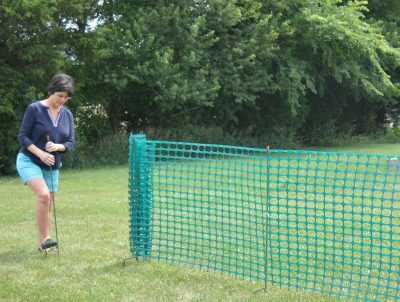 Quite simply, we offer two of the easiest and best temporary fence kits you can buy! 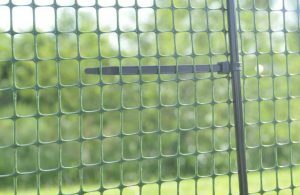 One Step Temporary Fencing™ is our premium kit and features American-made posts and netting made in North America. 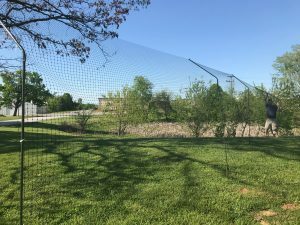 Temporary Fence in a Box features the same great American-made posts and imported netting to offer products at two different price points. Posts are designed to press into the ground with one step of your foot. The unique “Y” notch at the top of each post holds fencing in place, and keeps it there – no slipping or sliding down the posts. Plastic ties secure fencing to posts so it stays put until you decide to take it down. Light weight, easy, quick to install and reusable! 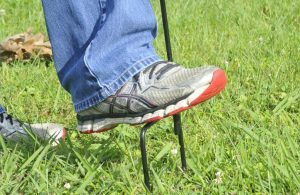 With one simple step, you quickly anchor fence post into the ground. No struggling to hold the post… no tools… no sweat! Quickly loop the fencing through the unique “Y” notch at the top of each post. This securely holds the fencing in place, and keeps it from slipping down the post over time. After hanging the fencing, attach it to the posts with the plastic ties provided in the kit. This keeps the fence secure and looking good. 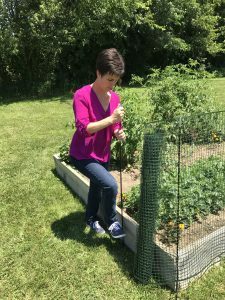 GARDEN FENCE… Wrap One Step Temporary Fencing™ around your gardens to deter pets and animals (even the human kind) from trampling and eating your fresh plants and vegetables. LEAF RETENTION… Need to keep leaves in one place while you rake? 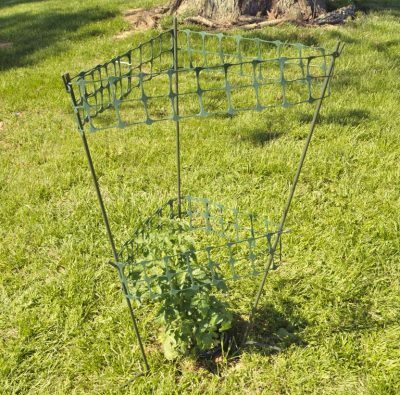 One Step Temporary Fencing™ is a great leaf containment system. 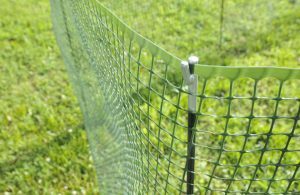 It’s quick and easy to set up and the 36″ fence height is tall enough to prevent the wind from scattering the leaves back across your yard. 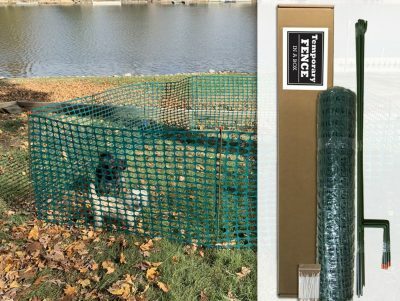 CAMPING… Take One Step Temporary Fencing™ camping to deter curious creatures or to provide a temporary dog run for you favorite pets. It’s also a great way to set up safe boundaries for small children. SNOW BLOCK… One Step Temporary Fencing™ can be set up as a temporary snow block to keep snow from creeping into unwanted areas. DRIVEWAY GUARD… Set up your One Step Temporary Fence™ as a barrier at the end of your driveway to keep young children or balls from entering the street. Works on hillsides too. PEDESTRIAN AND VEHICLE CONTROL… Our light weight temporary fence serves as the perfect means to block people or cars from entering unwanted areas, or to help direct traffic flow. Perfect for festivals, sporting events or parties. CONSTRUCTION… One Step Temporary Fencing™ can help mark construction sites or prevent people or vehicles from hitting potholes or other dangerous areas. AND MORE… One Step Temporary Fencing™ is light weight, portable and reusable. It can easily be used for so many applications. Help us to discover more. Go to our Facebook page and show us how you use One Step Temporary Fencing™, then share it with your friends!